If you are an avid fisher, or are just getting into the sport, you may have noticed that there are different kinds of fishing reels when you visited the outdoor store to purchase your new reel. After browsing the many choices available to you, perhaps you feel a bit overwhelmed – especially when it comes time to choose the reel that would be best for you and the type of fishing you intend to do. So which is better suited for you – a spinning reel or a baitcaster reel? •	Only used for pulling in the fishing line. 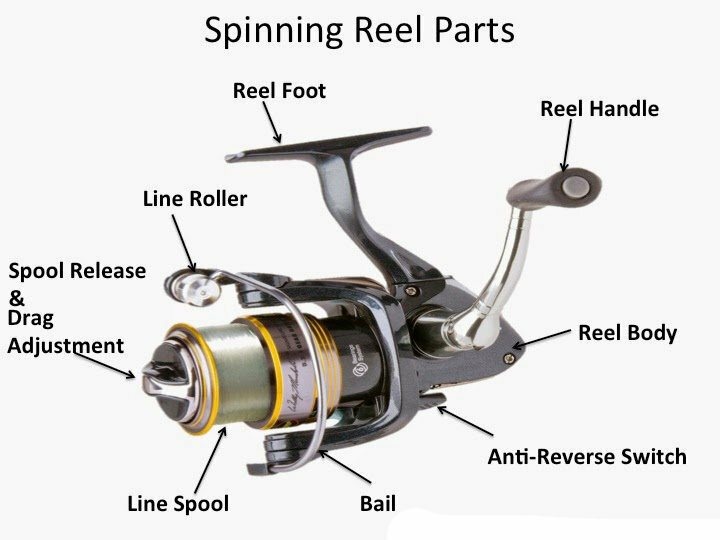 While spinning reels tend to be somewhat easy to clean and maintain, not to mention use, they might not be your best choice for fishing for larger fish or for using heavier baits and lures. While a great option for a newcomer to fishing or for someone who might choose to have the option to stay with an old favorite, the versatility of this type of reel can be refreshing. The weight of the spinning reel is also something to consider, especially if you plan on spending hours out on a boat or in the water. Baitcaster reels are also often found labeled as bait casting reels, and are perfect for experienced anglers who are looking for something more durable that offers better control over the fishing experience, and improved accuracy over your typical spinning reel. While a spinning reel offers a smooth experience with the ability to reel in the fishing line, a baitcaster reel works a little bit differently. The spool will rotate as your cast the line, so the inertia has to be strong enough to move the spool properly while casting. This allows you to get a more accurate, stronger cast than a spinning reel, since you will have to be careful while casting so that you do not put too much force behind it, creating a mess of the fishing line. While it takes a little practice, it can be a worthwhile experience to get to know one of these types of reels. While it might seem that baitcaster reels are a bit more of a challenge to use, they offer great rewards when one learns to use them correctly. The improved accuracy and control over the fishing experience is completely worth learning, as it will prove to be quite handy while fishing in conditions that require you to have ultimate control over the situation. While they can take a long while to learn to use properly – up to an entire season’s worth of practice, the benefits that they offer are ideal for anyone who is a serious angler or someone who wants to try their hand at bettering their fishing skills. When it comes down to choosing a fishing reel, it’s important to first consider your skill set. Most anglers who have used baitcaster reels before might not want to go back to using a spinning reel unless necessary, as they rather enjoy having enhanced precision and control over their fishing. Novices might find it a little intimidating at first, but with enough practice or a good teacher, you will soon get a handle on the reel and come to enjoy its benefits. If you are still unsure, sticking with a spinning reel is a good choice, too – they offer plenty of benefits, such as versatility and ease of use that can make your fishing experience more enjoyable.